Winning a World Series of Poker Circuit ring is difficult to do. 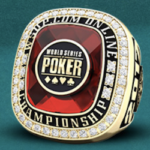 WSOPC events are frequented by top pros in the industry, individuals who make it difficult for players to earn one WSOPC ring with a major event win, much less earn more than one. 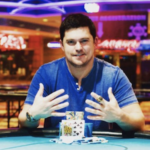 Just recently, poker pro, Valentin Vornicu was able to win back to back WSOPC rings, earning a record-setting 12 gold rings total during his career. One day after Vornicu won a record 11 gold WSOPC rings –breaking a tie with fellow poker pro, Maurice Hawkins– he was able to earn a 12th ring! While at the Harrah’s New Orleans, the poker pro took part in Event #3, the $365 Single Day NLH Re-Entry tournament, earning $24,084 and more importantly, his 12th career WSOPC win. Vornicu earned this win just one day after claiming victor during Event #1, the $365 NLH Re-Entry, earning just over $64,000 for his efforts. The pro could not believe that he won back to back events and was both tired and happy at the same time, after earning the second win. With the wins, Vornicu has the ability to win the Harrah’s New Orleans Casino Championship title, which would be yet another notch in his belt. With that title, Vornicu would be given a seat to the 2018 Global Casino Championship. He already has leaderboard points to earn a seat in the tournament, so winning the championship title via Harrah’s would just give the pro the right to brag a bit about his gaming skills! There are still several events on the WSOPC schedule at Harrah’s. Players can still compete in Event #8, a $2,200 NLH High Roller with re-entry offering $100K in guaranteed prize money as well as the Main Event, a $1,675 buy-in tournament with $750,000 up for grabs. It will certainly be interesting to see how Vornicu fares, if he claims the Championship title and how many more wins he can earn during the WSOPC stop! Check out our US Poker Tournaments page for all the details about the top online poker tournaments of the year. Find useful info about all the different types of tournaments we recommend, where to play, and which poker sites offer the best prize pools and bonuses.